Cebu, Philippines Travel Video! GoPro underwater filming & tropical yoga classes. Today’s a happy day… because our Philippines travel episode has been released! Want to see me in tropical paradise, doing yoga with Filipino beauty queens? Then watch the 4-minute travel video above below and on Business Insider. A huge round of applause to sáv Hospitality for teaming up with us, and making this travel film possible. 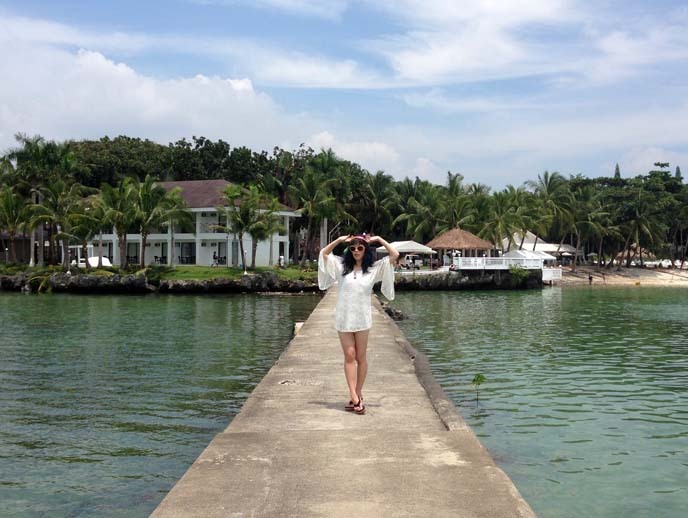 The photos speak for themselves — we loved every moment at Pacific Cebu Resort. … I took part in an outdoor yoga lesson, with the Miss Scuba Philippines beauty pageant contestants! What a memory: stretching beneath the palm trees, while listening to the sounds of the ocean. Even during the more difficult poses, the ladies smiled and kept their poise. Filmmaker Eric went scuba diving with the contestants. Again, it’s impressive how they can do pageant waves under water. 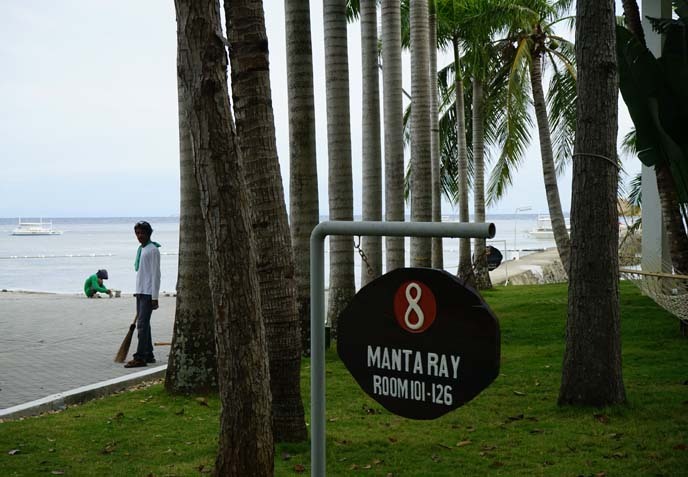 Pacific Cebu Resort has well-regarded scuba instructors (here’s more about the dive school). 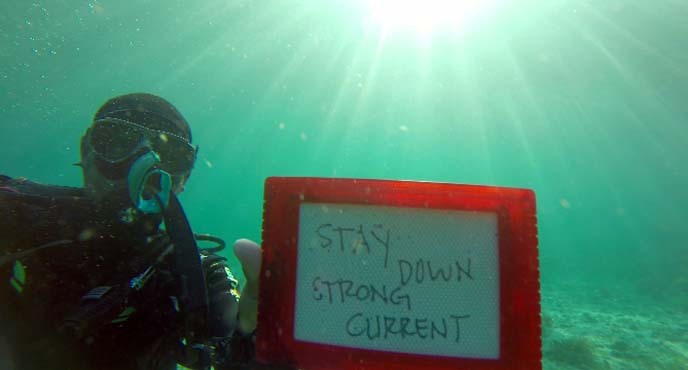 Eric took the video and these photos with a GoPro camera — a tiny and affordable device that lets you film under water. 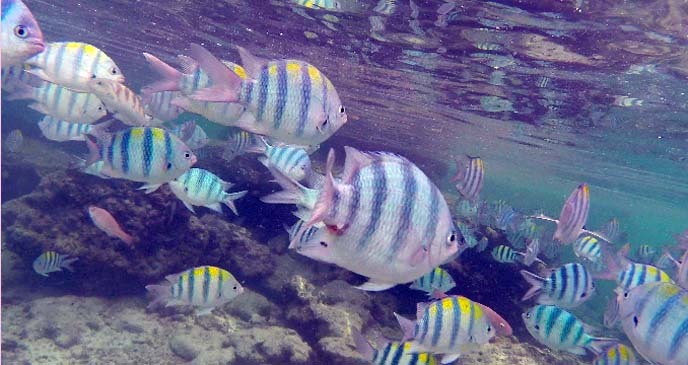 We’re big fans of the Go Pro, since it’s easy to use and gets gorgeous shots like the school of fish above. If you’re going snorkeling or diving, take a look at these cameras. On dry land, we shoot photos with the Sony alpha 7, a mirrorless camera (it’s full-frame quality, but half the size and weight of a regular DSLR). And this travel video was filmed with a Canon 5D Mark II, known as one of the best DSLRs on the market. We loved the philosophy of this hotel group, sáv. They participate in community programs that aim to build a better future. 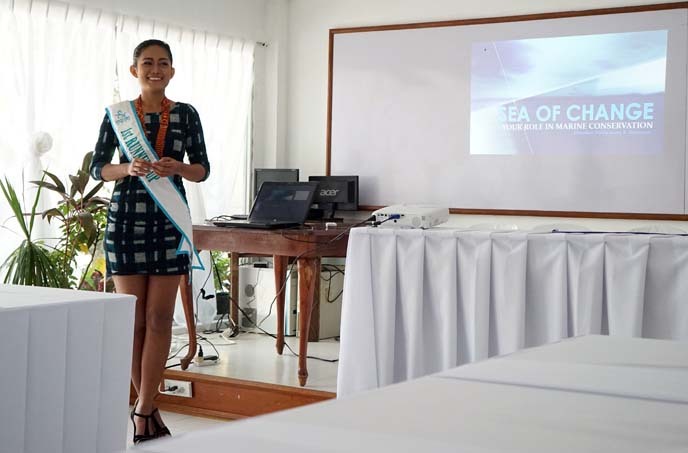 We listened to 2013 Miss Scuba first runner up, Christine Paula Love Bernasor, speak about the “Sea of Change” required to save marine life. This one-of-a-kind pageant fits perfectly with sáv’s theme of well-being for the body, soul, and environment. Even the food reflected the Filipino culture. At each meal, we could order local favorites like adobo chicken, lumpia and lechon. 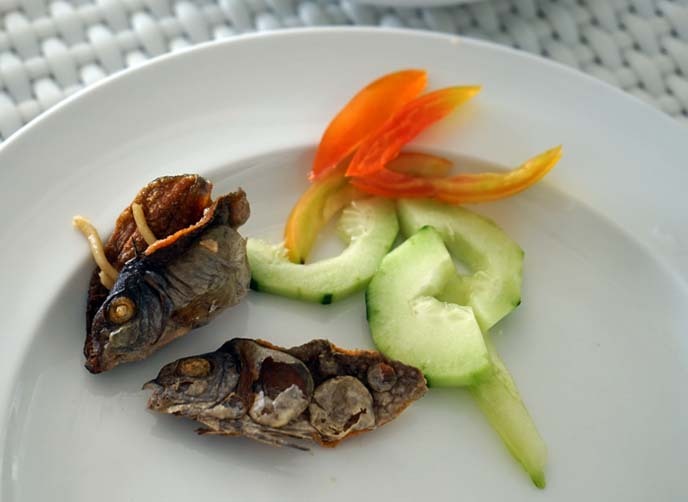 Above — I tried danggit, or crispy fish heads dipped in vinegar. They were great! I also discovered a new favorite drink: calamansi (a tart citrus from Southeast Asia) with gin. Such a pleasure, to sip this cocktail while looking out at the beach. Many resorts can get boring after a while… but not this one. 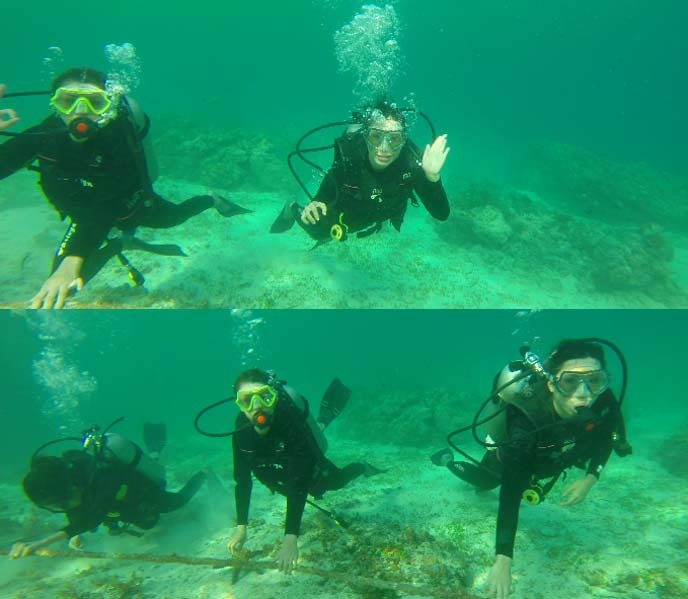 Guests can get accredited in SCUBA right on location. 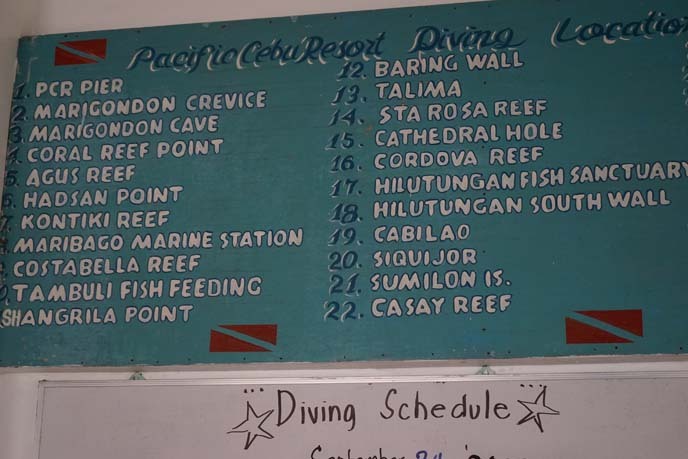 Cebu is diving paradise, with dozens of coral-rich reefs just off the islands. You’ll recall that one of my favorite days of 2014 was this one — sailing around Lapu Lapu, and meeting the villagers. The three above photos are by K of Bright Production in Hong Kong. The other images are by Melissa Rundle and Eric Bergemann. And don’t forget the 24-hour spa service. 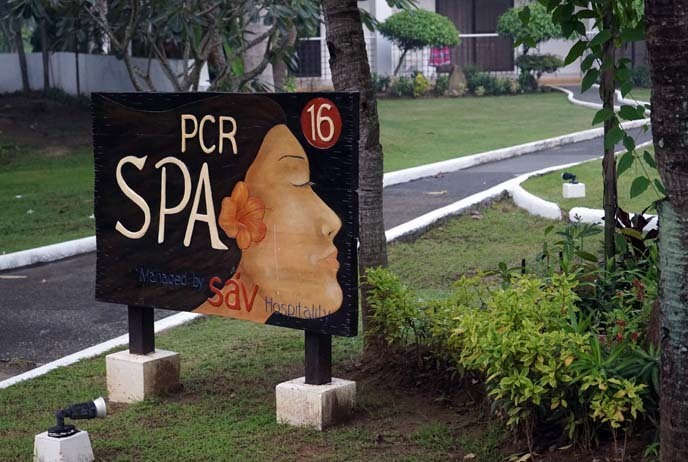 The PCR staff can even send a masseuse to your room. 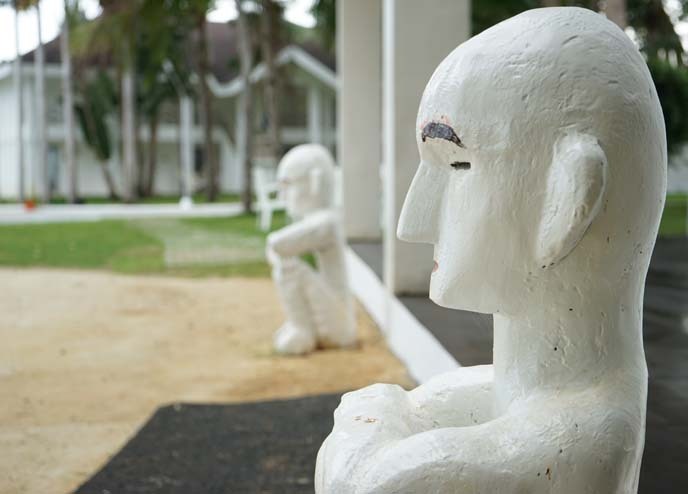 Travelers tend to overlook Cebu as a beach destination, but coming here opened my eyes. It’s not expensive to stay in the Philippines, and a roundtrip flight from Hong Kong is only around $200 US. The islands aren’t overrun with tourists and chain restaurants. And I found the beaches, scuba and snorkel to be better here than in Phuket or Bali. We can’t thank Pacific Cebu Resort enough for this beautiful experience. For more photos and stories, check out more of my Philippines travel stories. And please watch our Cebu travel video here. Thanks for supporting my work! Have you ever considered a yoga retreat? Did this series convince you to visit the Philippines? 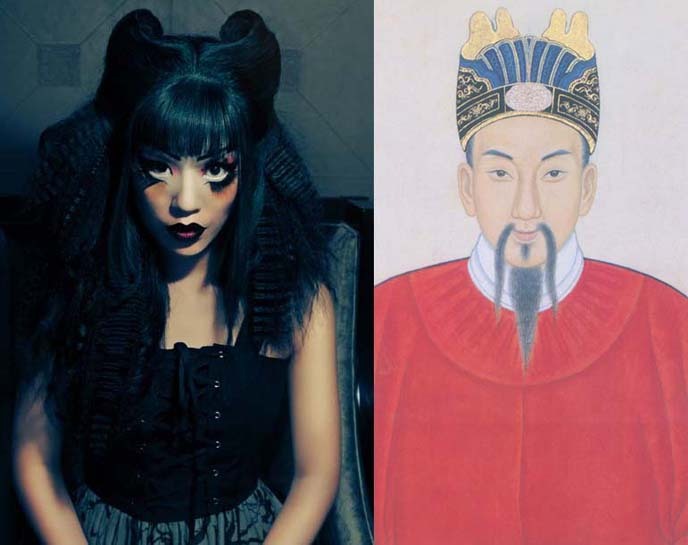 Asia pop culture tours, African safari & Owl cafes: my top fashion & travel memories of 2014. I’m glad you enjoyed the first half of my Year in Review! In this post, we’ll look back at the last six months of 2014, which took me to eight different countries for various work collaborations. We’ll begin with this magic moment, in front of the glowing orange Tokyo Tower. I’ve lost count of how many times I have been to Japan, but each time, I fall in love with the country once again. This year, I began working with Odigo.travel — a startup that lets travelers plan “exceptional journeys” to Japan, by creating trips and getting offbeat tips from insiders like me. 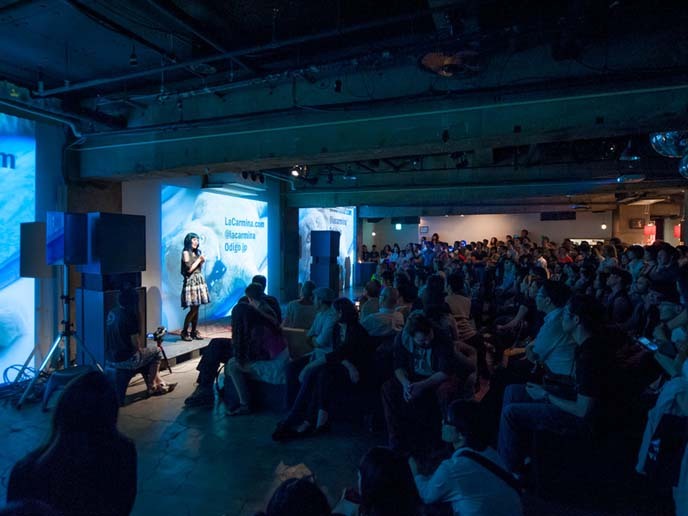 In June, Odigo flew me to Tokyo to give a speech in front of hundreds at PechaKucha. I spoke about my bizarre journey from blogging to TV presenting, writing and traveling worldwide. << Curious about my presentation? Watch my Pecha Kucha speech. I’m excited for the official launch of Odigo early next year, and invite you to get a sneak peek here. 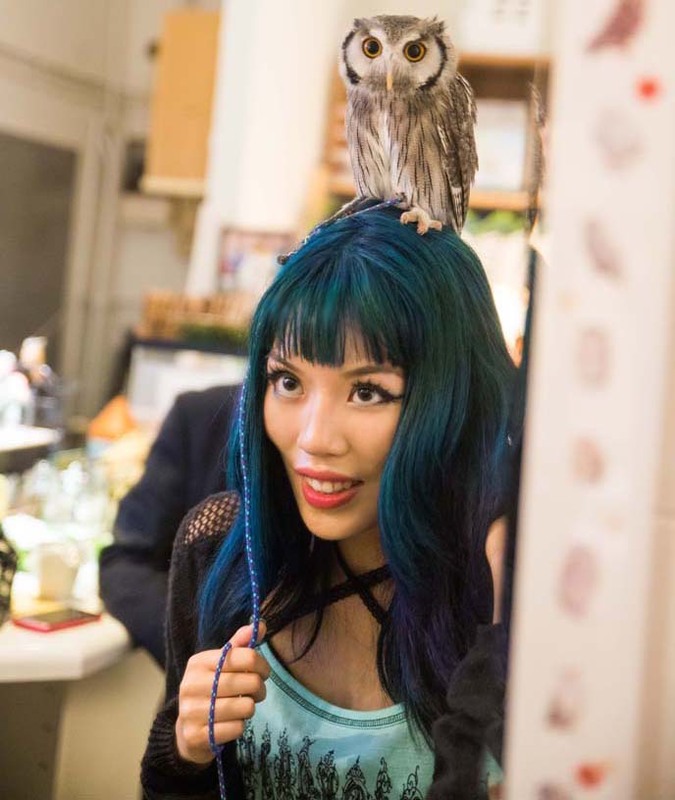 Odigo lets you discover the coolest attractions in Japan — such as the adorable owl cafe — and put together a customized trip with all the addresses, maps, hours and info in one place. You can also contribute your own write-ups and images; take a look at Odigo, and I hope you’ll enjoy using the site. As part of my mission to find Asia hotspots, I flew to Taipei for the first time. 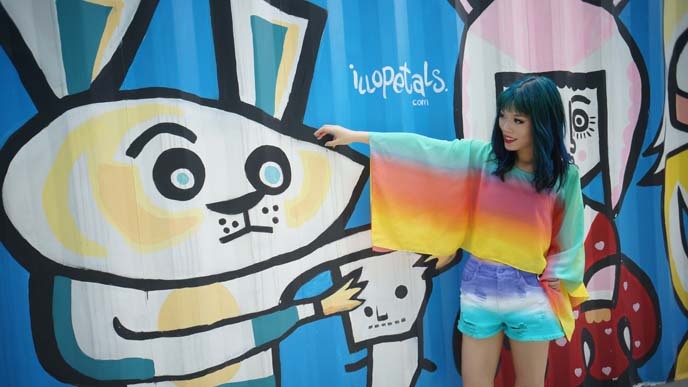 Here’s a Nanette Lepore outfit post from Taiwan’s Humble House boutique hotel. Taipei’s cheeky, modern art scene impressed me. Looks like the resident caveman (at Le Meridien) is trying to apologize to me. Perhaps he tried to steal my cat… << All the photos and outfit details here. I keep busy with a variety of different projects. I was in Hong Kong for a big TV shoot with Pro Sieben (German television). Can’t say much about this yet, but I’ll show you the photos and clip when they air next spring. I wrote a number of articles for magazines this year, like Sunday Times Travel UK. 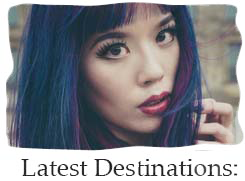 I also have my own column in each issue of Hong Kong Express Airways’ in-flight magazine (scans above). As I mentioned in the last post, my focus is now on coverage I find meaningful — hence the stories about travel and underground culture worldwide. I’d feel empty if I followed the typical fashion blog format: outfit photos, consumption-oriented roundups, and little else of substance. Nonetheless, I’m still passionate about style when I can express it on my own terms. 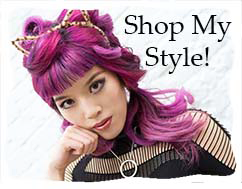 I love to support designers who do things differently: slow fashion, alternative styles, eco materials, vintage. 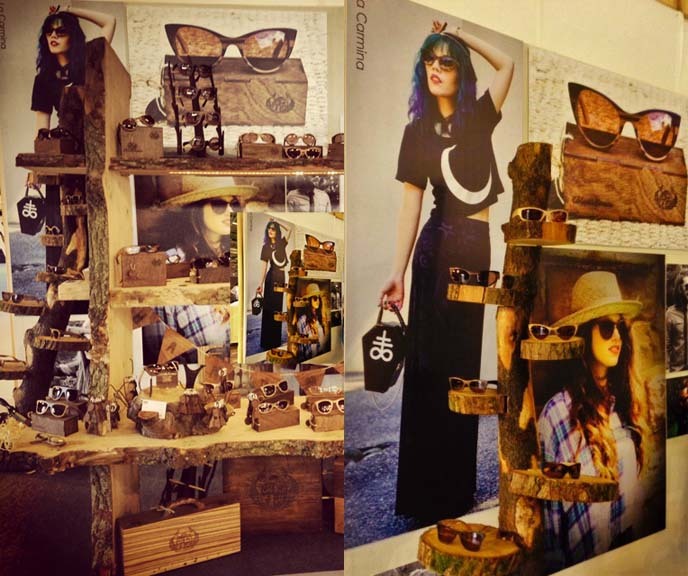 Moat House’s sunglasses are a perfect example, and I was honored to model their frames on a life-size poster in Paris. I returned to Hong Kong, which remains one of my favorite cities thanks to my friends and relatives here. I organized an influencers dinner for Odigo, and took Yukiro around to my favorite boutiques and restaurants. 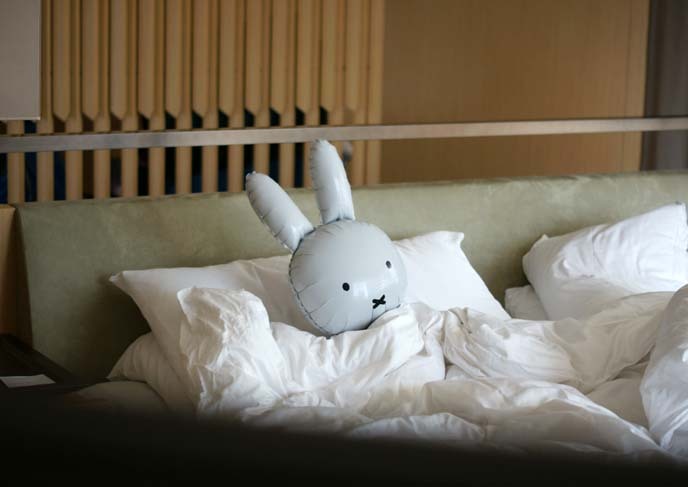 Things got Miffy-crazy in our Hong Kong penthouse, at the Upper House Hotel… You’ve got to see this epic blog and video, if you missed it! My Pirates and I went to the new art center: PMQ in Central. 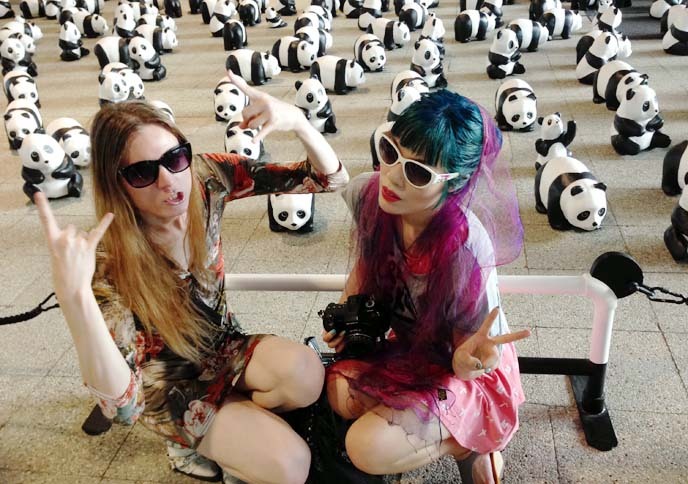 At the time, there was an exhibition of 1600 panda bear statues. A powerful (and cute) way to get word out on the WWF, and their work in protecting endangered animals. Oh, and the delicious food we ate in HK! 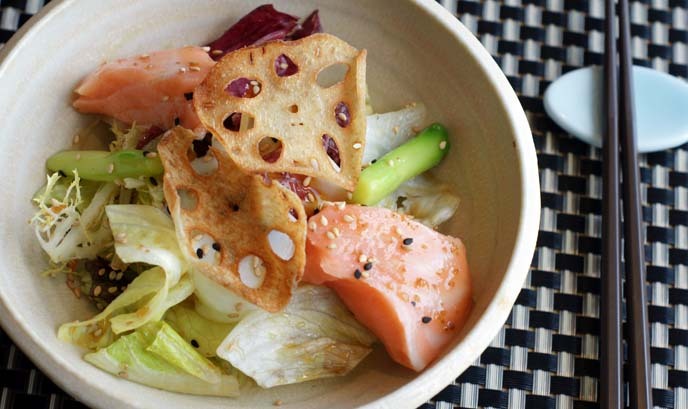 Above was one of the best meals of the year, a melt-in-your-mouth sashimi salad by Harlan Goldstein at Sushi To. << Check out all my Hong Kong restaurant reviews. My Asia journey didn’t end there. I went to Seoul for the first time in over a decade, and it’s changed so much. Fortunately, my friends Eat Your Kimchi gave me pointers on where to see the best of K-pop culture. 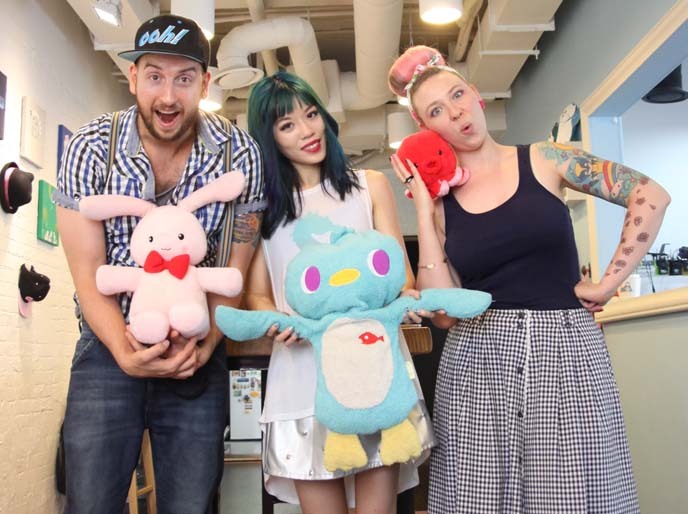 << Wander inside the EYK YouTube studio. … and got beamed up into the Dongdaemun Design Plaza. 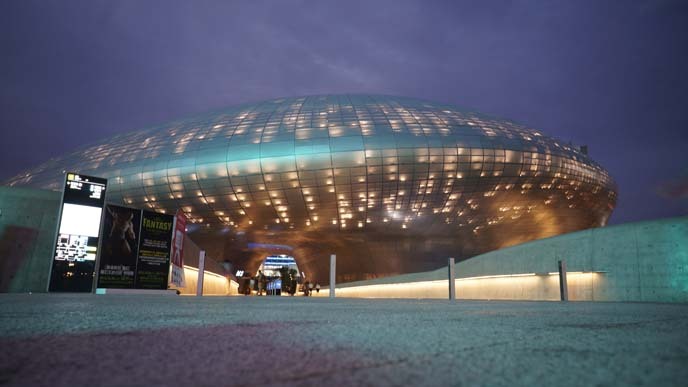 Now that’s what I call space disco architecture! This year, I realized more than ever: you only live once, and opportunities may never come again. So when Cape Town Tourism invited my film team and me to go to South Africa, we had to say yes — even though it was happening during an insane travel period. We weathered a sleepless schedule, trans-continental flights, lost luggage, and other fiascoes along the way. 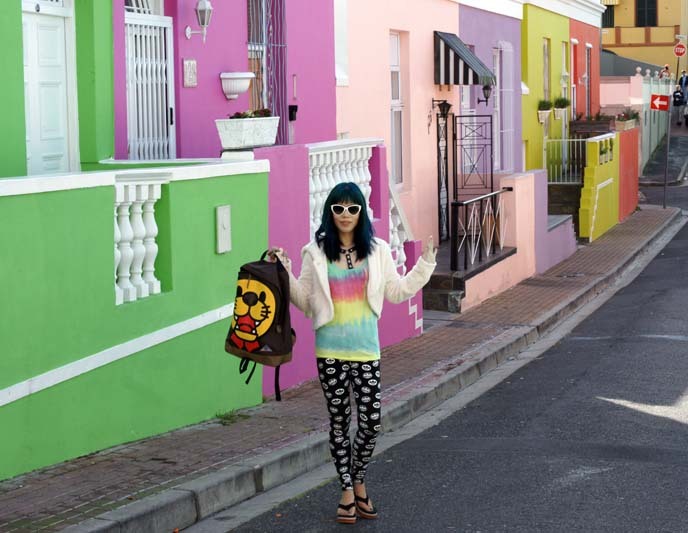 But as soon as we stepped out onto the colorful streets of the Bo Kaap, I knew we made the right choice. We had so many wonderful moments on this trip — jazz in townships, Stellenbosch wines, street art, hanging out with local artists. I also went on my first safari, and it was as magnificent as I imagined. 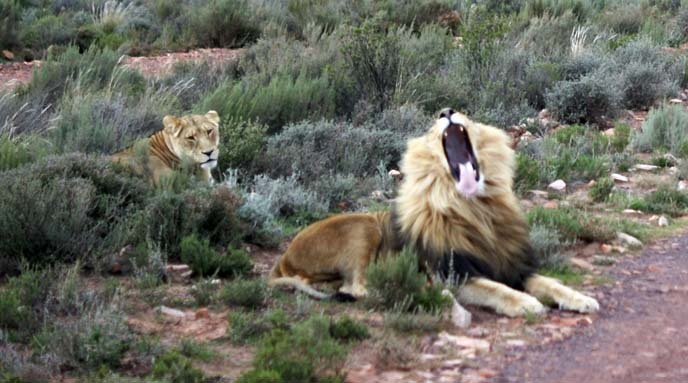 We took photos of elephants, rhinos, zebras and this pride of lions. Perhaps you’ve been wondering: who is “we”? Or rather, who goes on these trips with me? Since my jobs require high-quality photos and videos, I’m not a solo traveler. For the most part, these comrades are Eric and Melissa, my close friends and seasoned filmmakers. With each project, we aim to improve the quality of everything we produce. I hope you’ve been enjoying the recent visuals and stories — we’ll keep on upping the ante in 2015. In the late summer, I was honored to be the cover model for Kirameki Magazine, wearing a Moi-meme-Moitie dress. << See all the photos and credits from this shoot. 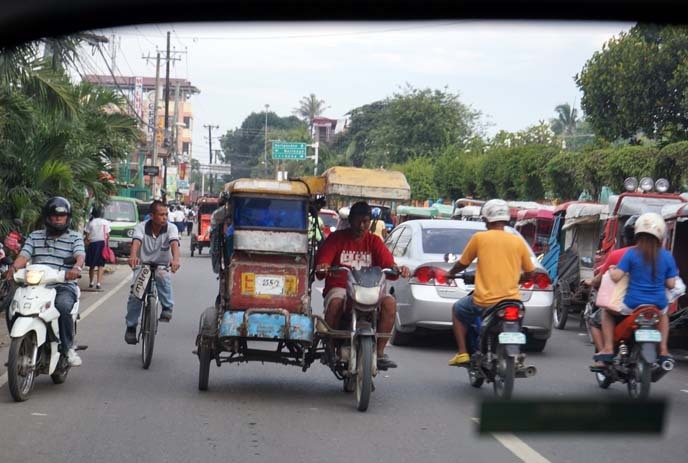 After a bit of sunshine in Vancouver, I was back on the plane to a new Asian destination… Cebu in the Philippines! The streets were a jumble of colorful jeepneys. 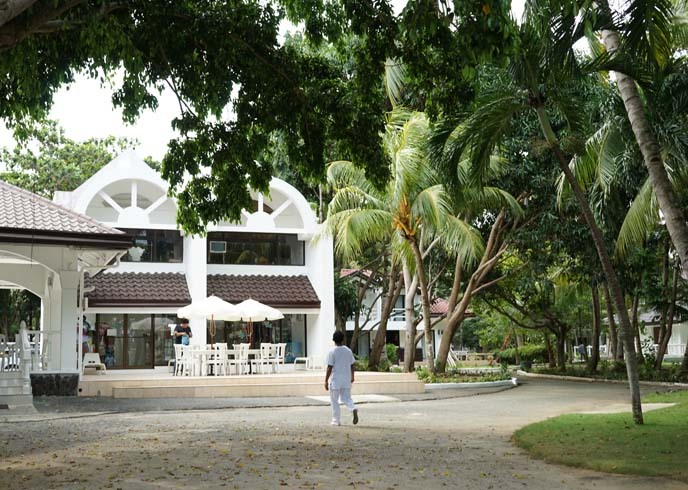 … and we did a showcase of their gorgeous Pacific Cebu Resort (travel video to be released soon). Jet lag, what’s that? The small annoyances are all worth it, when you get to experience a near-perfect day like this one. 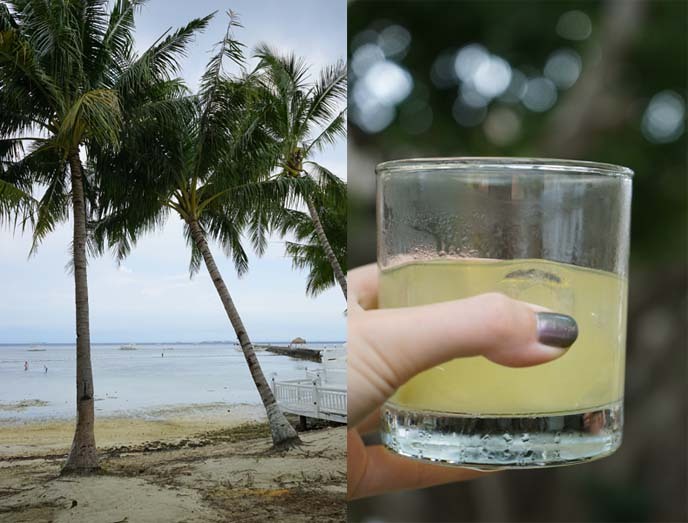 << Look back at my boating and beach adventure in Lapu Lapu. We flew a few hours north, and wound up in what seemed like completely different universe: Shanghai, China. Here’s the glowing Bund, which captures how fast the city’s developed in recent years. I went to the mainland a few times when I was growing up, and it never looked anything like this. 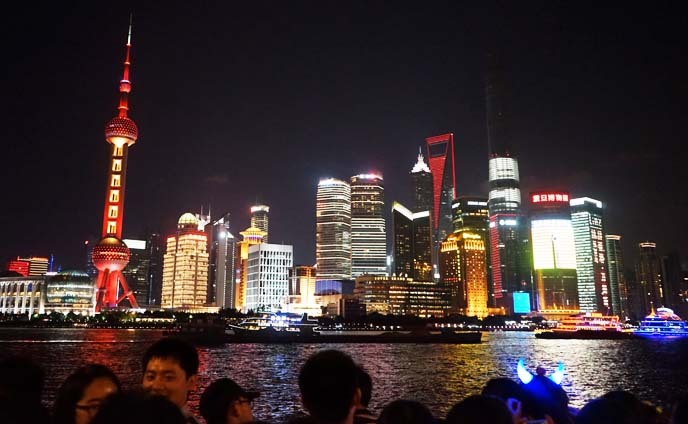 I still have more to show you about Shanghai’s young design scene, hip restaurants, and French Quarter. 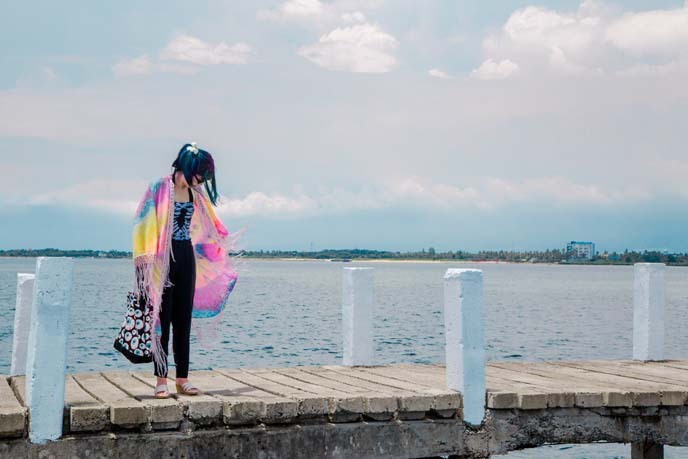 << For now, here’s an outfit post from Cachet Boutique Hotel. Before the end of the year, I made two final trips: to New Orleans, and San Francisco for a TV shoot with ABC Nightline. I haven’t had a chance to post about these adventures yet, but here’s a preview at my new hair color (a blue-purple-magenta ombre by Stephanie Hoy). You can look forward to these stories and several new travel videos, beginning in January. Middle East, Africa, Asia… what’s next? 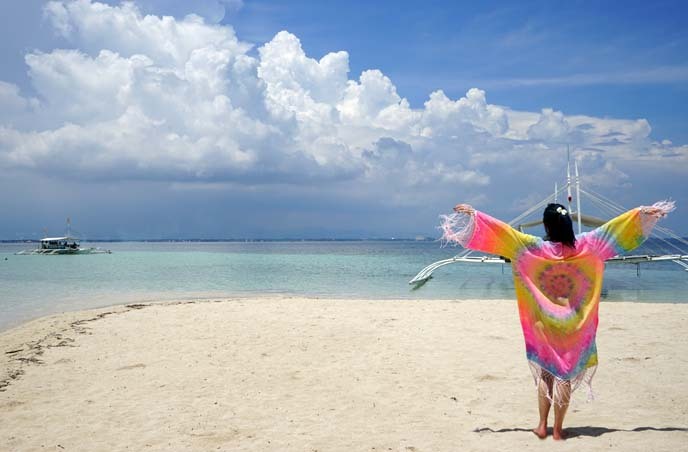 I hope you’ll continue to join my journey in 2015, since I have big plans up my kimono-sleeves! 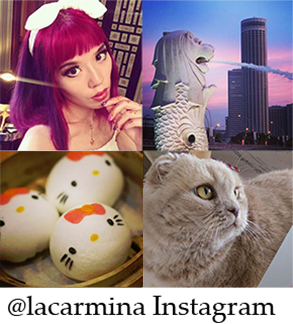 Check out @lacarmina on Instagram for day-to-day images, and to hear announcements like reader meet-ups. Thanks for being with me on my journey — I read all messages and comments, and am grateful for all the love you give. It’s amazing to connect with like-minded people who believe in what I do. See you next year. Let’s make it the best one yet!